While humans have some rudimentary ability to forecast the future, few governments are run with long-term detailed plans, at least in democracy. 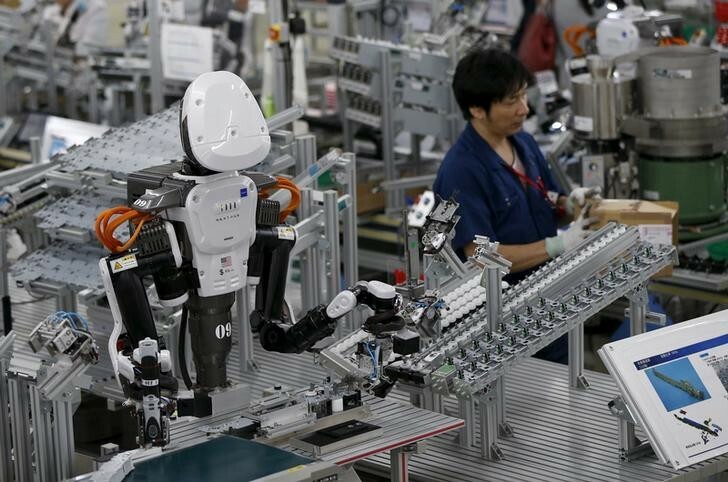 However for problems like technological unemployment, the regulation of AI and the impact of technology, the global economy and global leaders cannot prepare us adequately for what is coming. The system and many industries are not agile enough to do so. The technological disruption we will experience in the next 30 years is unlike any historical technological precedent or paradigm shift. This simple fact causes a lot of misunderstanding. With the rise of Tech monopolies such as Google, Alibaba, Amazon, Tencent, Samsung, Facebook and others, capitalism is no longer a free-market system, but one where the companies with most access to data, access to capital and consumer trust, win. That’s not a market where the little guys or the Middle class can compete for a limited amount of high-skilled jobs; as the Amazons of the world beat out the Walmart, Target, Kroger and Sears’ of the world. These same Tech companies are also moving laterally into healthcare, banking, grocery, logistics, news, advertising, gaming, entertainment and so forth. The new “Big Four” of the world don’t have a fancy acronym. They are Amazon, Tencent, Alphabet and Alibaba. Tencent for example has shares in such companies as Snap Inc, Tesla, Ubisoft and Chinese e-commerce giant JD.com. Amazon moving into healthcare, medical supplies, logistics and grocery is well documented. 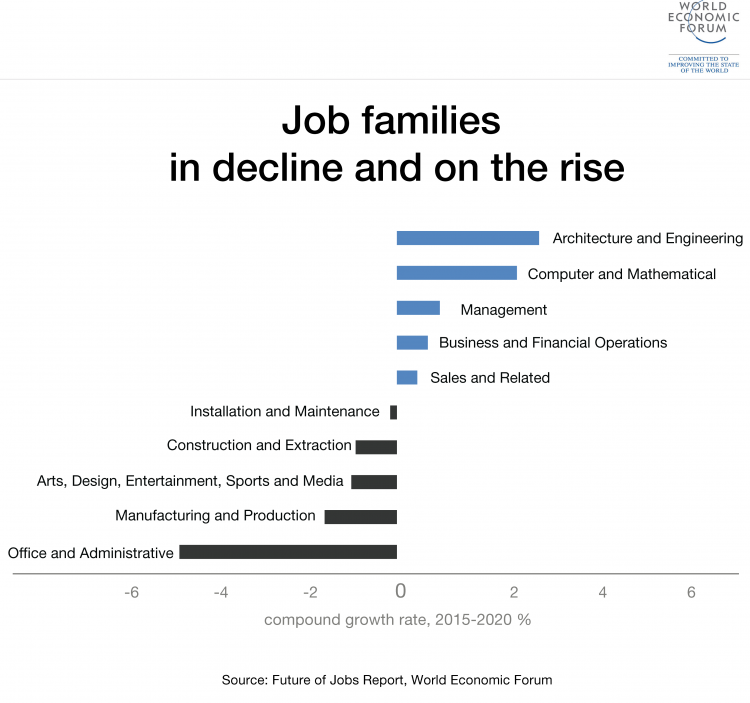 The World Economic Forum can make viral videos about the benefits of the Fourth Industrial Revolution, and Silicon Valley and Futurism can push ideas of a universal basic income, but all of these things does not save us from the fact that the advent of robots into the workforce in increasing ratios to humans and more sophisticated artificial intelligence evolution is inevitable. Technological unemployment and the path of smartphone addiction that for many has led to “technological loneliness” is of course not something that benefits consumers or global citizens, but rather scales wealth inequality into a kind of technological feudalism, where decision makers on humanity’s future are not politicians, but the robot overlords running the major companies of the world. In China the central government has more influence on the likes of Tencent, Alibaba, Huawei, Baidu and others, however the same cannot necessarily said in America of Google, Facebook, Apple or Amazon. This means companies such as Amazon, in the 2020s are pioneering the new phase of the consumerism experience, where as we can see we can do A-Z in Amazon’s ecosystem of services from original video content to grocery delivery to even starting a branded banking account through J.P. Morgan Chase. As paid work becomes decoupled from supply and demand in the robot apocalypse, a world where AI and robotics surplants human beings from tasks as more jobs become obsolete and are made redundant, the leading proposal for a new system is not to combat wealth inequality directly, but rather, to give everyone a little, that is, a basic income. The usual amount cited is $1,000 USD. Not enough to survive on, but enough to make a big difference should the next recession prove indeed that automation is on its way. New jobs are created in the new consumerism, but not at the pace that jobs will be lost in fields such as transportation, retail, finance, banking, logistics, healthcare and so forth. With inverted demographic pyramids, debt-bubbles, ballooning costs of healthcare, and a massive mistrust in institutions, politicians and human leaders, ironically it may be up to AI and robots to actually take some of the biggest problems of society and help correct them. The management of the planet, will very much be a work in progress in our lifetimes. The prospect of serious technological unemployment via automation is something I think a lot about. There’s widespread denial of automation’s impact on jobs and the future of work, a bit like the state of public opinion on global warming in the 1990s. But here’s the thing, automation occurs and scales a lot faster than global warming is and does. That’s why AI and its regulation is a bigger immediate threat to humanity than global warming and its massive repercussions. Most people survey on technological unemployment displacement, simply don’t believe it could happen to them. These kind of biases make humans not particularly agile to advances in AI and the next gen of and smarter iteration of robots, nano-bots, drones and more immediately, self-driving cars. Managers think they are immune, white collar professionals believe only some of their tasks will be impacted. Yet in our midst, Tech monopolies are starting to cannibalize the economy and create huge talent inequality where entrepreneurship is in decline, and consolidation of services is on the rise. In an age where it’s harder than ever to fund a startup, or compete against established players, innovation will now be lead by industry leaders who are all becoming essentially technology companies. Universal Basic Income is better than nothing, if during the next recession jobs start to go the way of the robot apocalypse. But UBI is a fail-safe, it’s not a solution to wealth inequality, the future of work or any significant invention that might combat how humans adapt in a world of increasing AI and robot workers. UBI is more a mechanism of how you prevent social unrest, when the pace of technology reaches points of acceleration that leave significant portions of humanity behind. The “Big-bang” of exponential technologies of the 2030s isn’t just the invention of the web in the mid 1990s, it’s when humans will learn they do not necessarily have to work, in order to live. It will be radical, and technological unemployment will be among its first signs and symptoms.